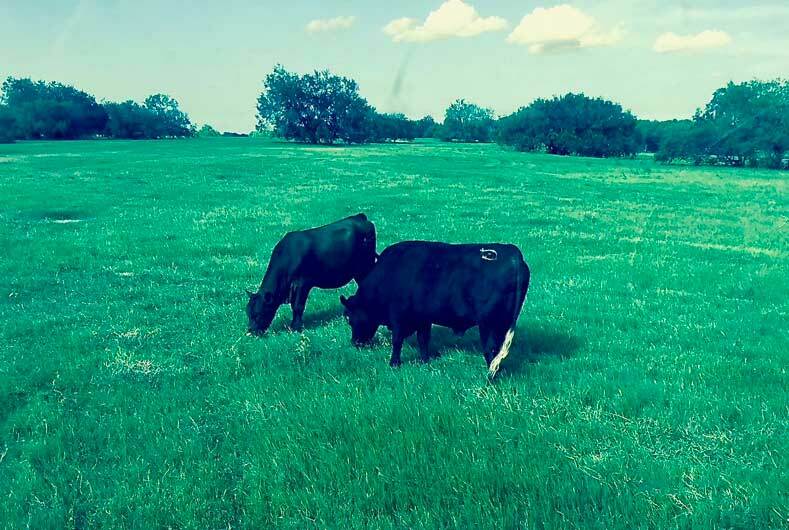 Although diversifying into a busy Bed & Breakfast, which providing so much to guests, raising beef cattle remains basic to this Texas guest ranch. We believe in the beef industry and in promoting and sustaining the way of life that allows for it. Our aim is to produce cattle for a high quality market niche. With a changing world and lifestyles, there will always be a place for a great piece of beef on the table, and that is our goal! We continue to fine-tune our genetics to insure top carcass quality and superior maternal characteristics. Our mother herd is Senepol based, and we use only top quality Red Angus bulls as sires. The Senepol cow, an alternative heat-tolerant breed originating in St. Croix, was a dual purpose cow for a tropical climate. Combining maternal characteristics, gentle personalities, and heat tolerance, without sacrificing beef tenderness, they are ideal momma cows for South Texas. Bred to Red Angus bulls, with their supreme marbling ability, our calves fit exactly what the beef industry desires – tender, juicy beef from calves that gain well on grass or feed. Developing a fine heifer market, we select only our best calves, gently handling and teaching them how to “eat”, and then, eventually either keeping them, or selling as a gentle, heat tolerant, polled animals that is a ideal replacement female, whether his herd is 20 or 2000. Even guests staying here on our property take great joy in feeding the cattle; what joy to watch a child’s face as that big tongue gently sweeps up that cube out of his hand! We look forward to helping anyone learn more about these great animals that are so essential to the food chain. 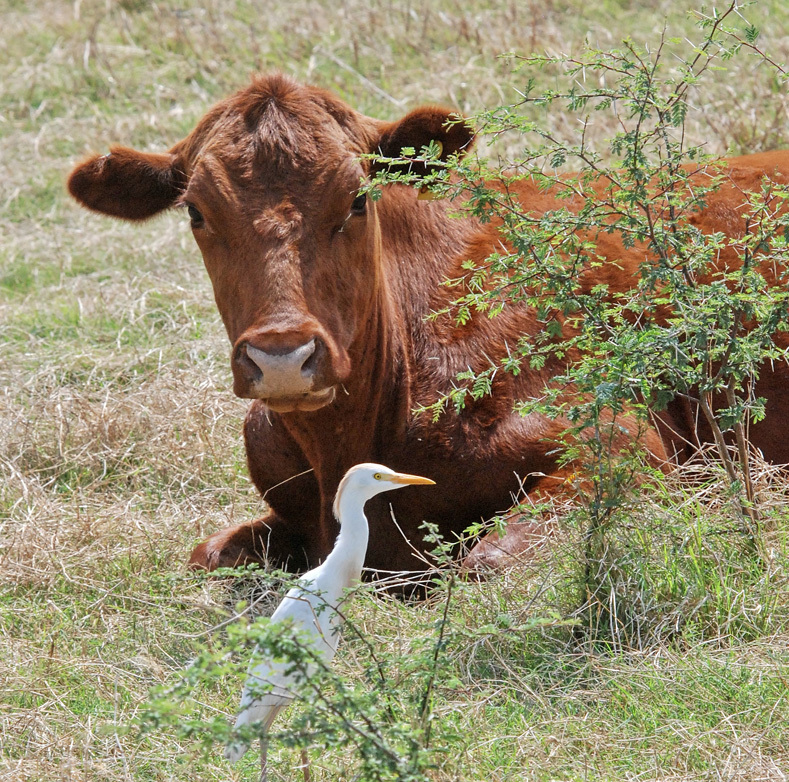 Both improved pasture and native grasses are necessary to balance a diversified operation of ranching, hunting and entertaining guests, and we are here to help landowners to really use their land top the fullest. Stephen runs a custom grass seed and planting operation that has been in the business for over 30+ years and his reputation is one of the best in the state (he also plants in neighboring states). Having planted repeatedly for some of the largest ranches in Texas, he is well known and highly respected in the ranching community. Consulting with landowners as to how to best improve their pastures and get the most out of their grasses, he offers a full-service operation that supplies and plants (with precision equipment) both Jiggs Bermuda and Tifton 85 grasses for improved pastures; but, now offers much more. Providing seeding of a variety of Native Grass Planting has become a very important part of “Stephen D. Naiser Custom Grass Planting”. Native grasses are something that many landowners depend on for wildlife management and providing better habitat for Texas hunting. 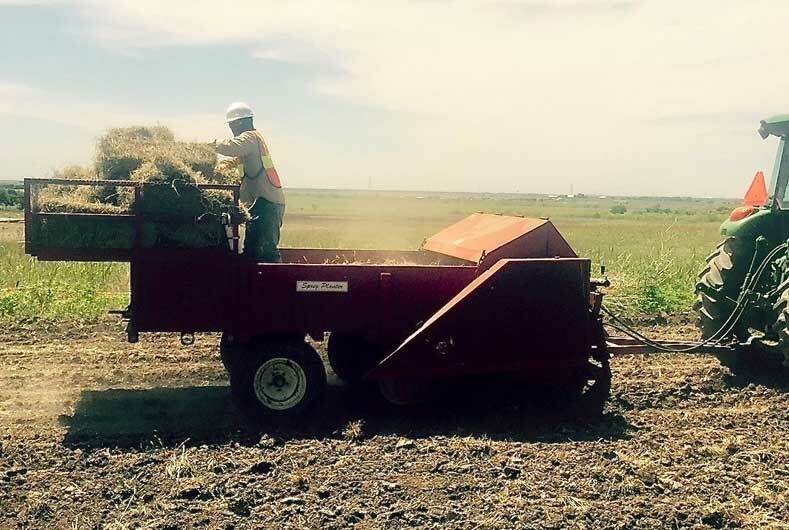 Stephen not only supplies and establishes these grasses throughout the state, but, has, in recent years, diversified into a full service “land enhancement” business. This now includes grass planting of both improved and native grasses, as well as pasture consulting and pipeline reclamation. Advising land owners as to the best use of their land, preparing the land, and restoring the land to even better condition than it was prior to pipeline work, makes this business a very important part of the agriculture industry in Texas. He follows closely behind pipeline, and utility companies, restoring the land to its original state, and often better! 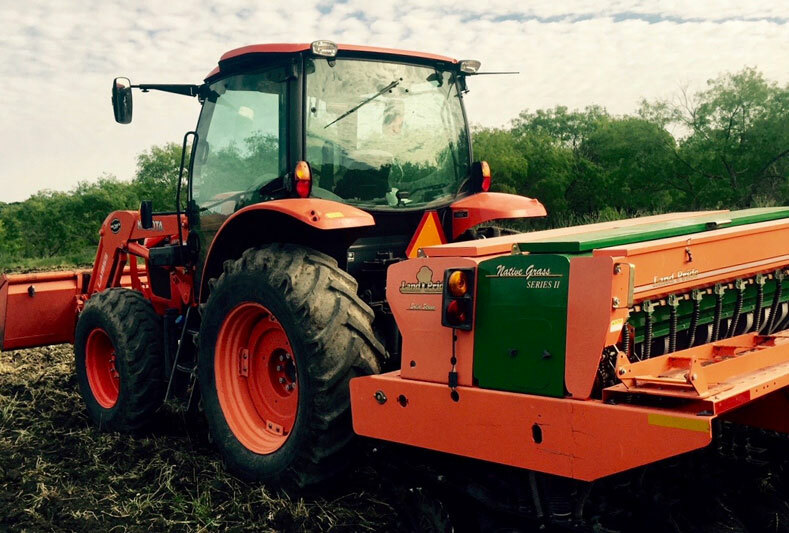 Combining land preparation, disking, rolling, mowing, seeding and sprigging of various requested grasses, these companies can turn to Stephen with full confidence that he can do a turn-key job that meets every requirement for these services. And of course, grasses, equipment and staff are always of the highest quality. You can feel comfortable placing the biggest and most complicated job in Stephen’s hands, and still know that he enjoys nothing better than riding around in a pick-up, visiting with ranchers, and sharing stories with ranchers of all sorts. Working with Texas A&M University, Stephen is a professional in every way, continually updating his knowledge, as well as sharing it at many field days throughout the state. He loves to help educate others in how they can best utilize their southwest ranches. 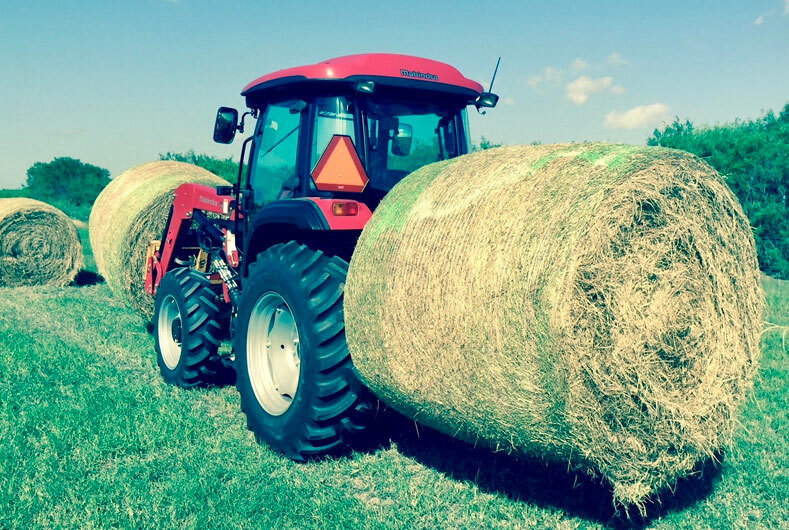 — Check out some of the photos below of beautiful pastures he has established, as well as the hay that comes off of them, and the equipment that will be brought to you to do your work. We are a full service business that can answer your needs as to land enhancement, beautification, and pasture establishment. If you are interested in learning more about his operation, he can be contacted at 979-533-2554 or 361-547-6414. Additionally, his website provides an overview of his operations and answers to frequently asked questions at www.stephendnaiser.com.